Margaret Simmonds – Can Luce Irigaray’s concept of sexuate difference help XY-women to form a more useful relationship to their biology? 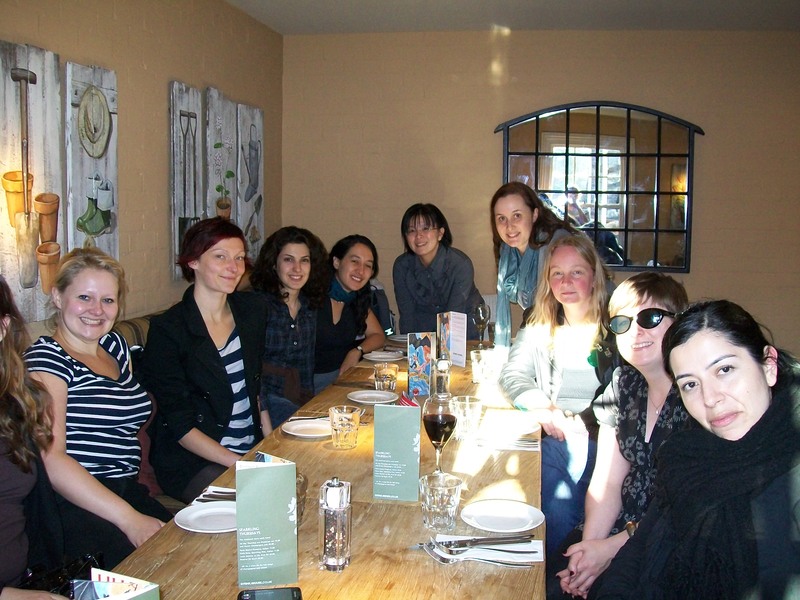 The 2011 Luce Irigaray International Seminar, hosted by the University of Bristol, was a truly international gathering. Particpants came from Iran, China, Japan, Chile, Germany, as well as from across the US and UK: altogether, this year’s seminar consisted of 10 women and 1 man. The diverse range of research we brought to the week is testament to the far-reaching scope of Luce Irigaray’s work. Across an intense, challenging, but ultimately inspiring week, we covered: embodied responses to PTSD; the status of the maternal in social policy; children’s rights in contemporary legal frameworks; the poetic in theory; Chilean women’s art as response to national trauma; the confluence between Irigaray and Confucianism; literary figurings of embodiment; and the history and representation of terrorism. Below are brief outlines from participants of their contribution to the seminar and where their research has taken them since June 2011 (two participants have chosen not to contribute to this site). Lori Martindale (The European School, Switzerland) My work on Professor Luce Irigaray deals with poetics of language in theoretical discourses. In The Way of Love, Irigaray’s explanation of constructing language is a poetic act: “Thus to dwell is, according to the poet Hölderlin, for example, a fundamental trait of the human condition. But being able to dwell would be tied to the act of constructing: without building, there would be no dwelling. A house, however, could be made of language and to construct could correspond to a poetic activity” (The Way of Love, 144). The house of language here is in a Nietzschean flux, a communication which resists confinement. Poetic opening, ambiguity is the space of what I call “writing aperture” (what I refer to as a writing of the poetics of flux) from which Irigaray’s work springs. Read more . . . I was fortunate enough to attend the International Luce Irigaray Seminar at the University of Bristol in June 2011, just as I was entering the last year of my doctorate. I’d first encountered Luce Irigaray’s work as an undergraduate and it was her analysis of the connection between the West’s fascination with visual cultures and sexuate identity that eventually led me to pursue my doctoral research. In essence, I asked why it is a culture would need the concept of terrorism, why we would need to identify some instances of violence as something other than murder or criminal in the usual sense. In doing so, Irigaray’s particular understanding of the connection between our bodies, our sense of self and the language we use was crucial for unravelling the range of normative assumptions that underpin the various discourses that establish what ‘terrorism’ is. Read more . . .
Eleanor Staples (School of Law, University of Bristol, UK) My doctoral research used Irigaray’s theories on sacrifice to examine how ‘mother-work’ is socially and culturally devalued as expressed by contemporary social policy. I passed my viva voce in May 2013 and I am working on some corrections which are due this November. I will undertake teaching for the first time – from September 2013, I will be teaching undergraduate courses in jurisprudence and land law. As for the future, I’m considering an academic career and I hope to publish some work in 2014, using Irigaray’s theory of maternal sacrifice in a jurisprudential analysis of UK shared parental leave legislation. I’m also interested in looking at how the notion of political love could be incorporated into social policy making in the UK. Read more . . .
From a theoretical perspective, education is often seen as speaking the language of normative discourses and exercising a disciplinary kind of power, regardless of the educator’s intentions and the ideals that he or she attempts to communicate. The educator may unintentionally subscribe to oppressive discourses and practices and do more harm than good to students. Read more . . .
Shannon Wong Lerner (PhD Candidate, Communication and Performance Studies, University of North Carolina, USA) Shannon Wong Lerner is a doctoral candidate of Communication Studies and Performance Studies at the University of North Carolina at Chapel Hill (USA). Her current research analyzes shifts in the performances, representation, and reception of the female figure the “Diva” through advances in technology and new media. Shannon’s research interests include female celebrities and modernity, discourses of women’s voice and agency, discourses of love, communication ethics, and women and trauma. Shannon is currently finishing her last year of study. Irigaray Seminar 2011: The Militarization of Identity: An Irigarayan Study of Sexuation, PTSD, and Women Veterans – read more . . .